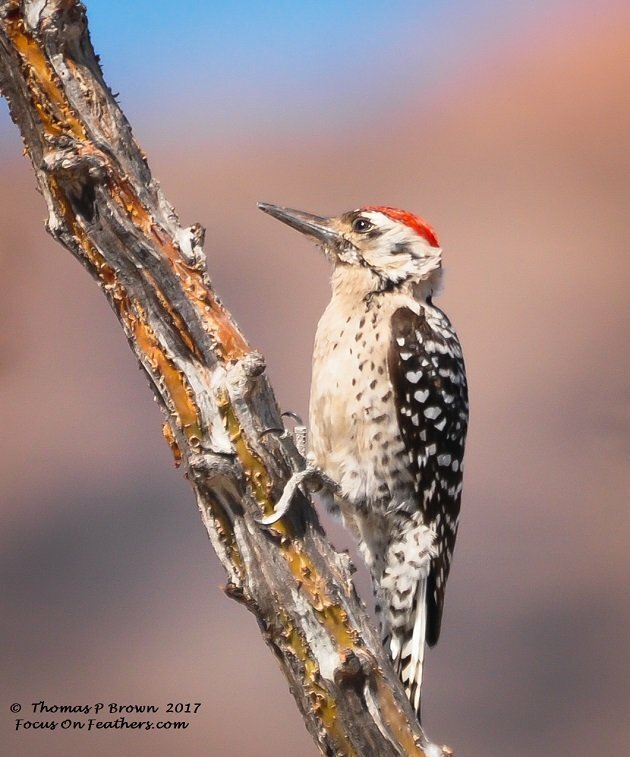 Inhabiting the southwest portion of the US, and nearly all of Mexico, the diminutive Ladder-backed Woodpecker can be found is a relatively wide variety of climates. From the arid desert of the Baja, to the almost jungle like areas of the Mexican mainland. 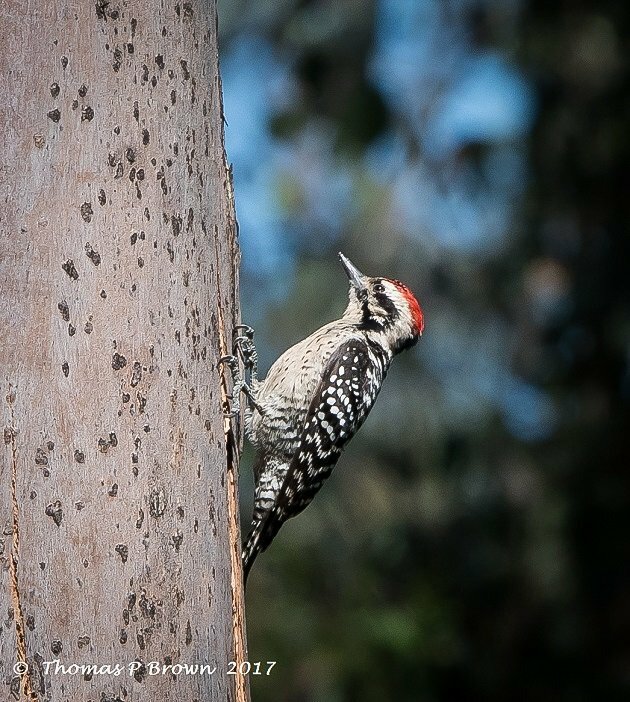 This small woodpecker, 6-7 inches over all has a very strongly barred back, hence its name sake, and a white cheek patch surrounded by black. I have found that the farther south the birds live, the darker their breast and flank colors tend to be. Also, on many birds, the white cheek sometimes tends to over ride the black, leaving a buffy, white side of the entire face. 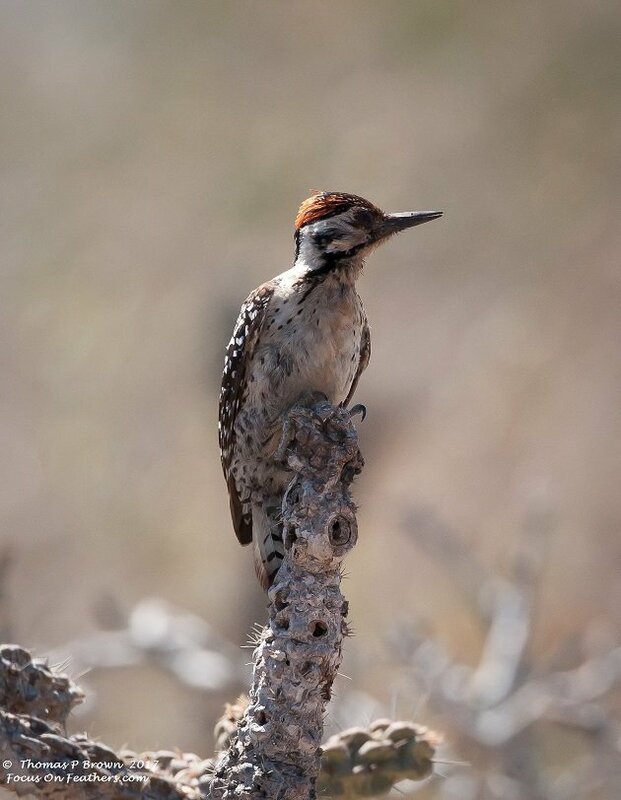 The most similar species to the Ladder-backer Woodpecker would be the Nuttall’s Woodpecker, but their range only intersects in a very small area of the northwest corner of the Baja, near California. The Nuttall’s is missing the white cheek patch and the red crown is limited to the back of the head only, where the male Ladder-backs red crown goes all the way to the eye. 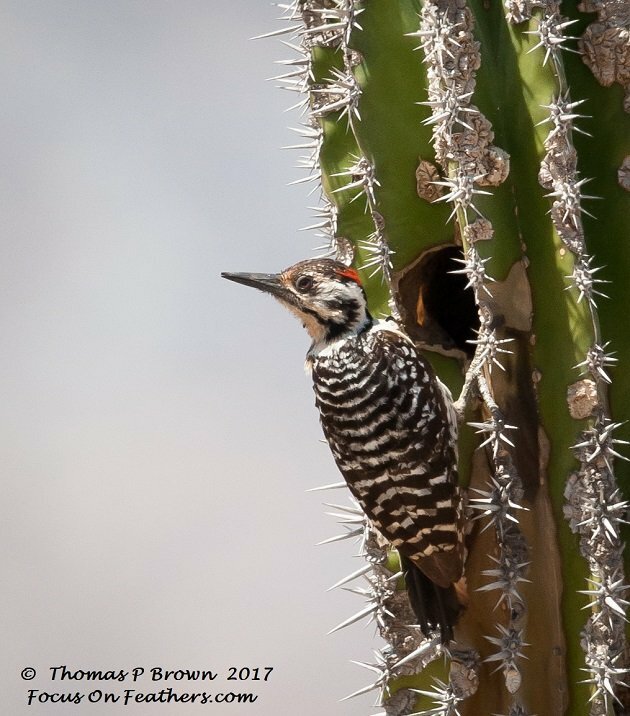 They nest in a cavity in a tree or bore a hole cactus, depending on their location. 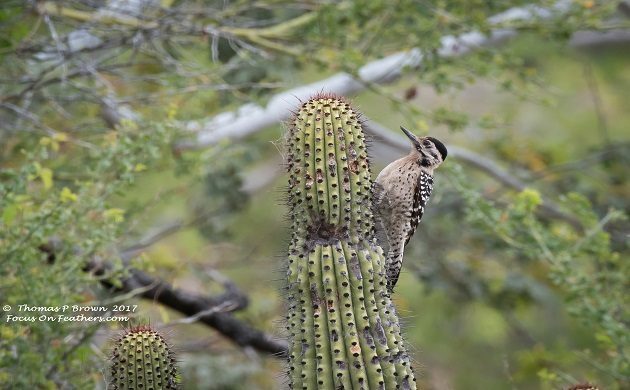 Here on the Baja, they tend to pick some of the most aggressive cactus species in which to locate their nest. 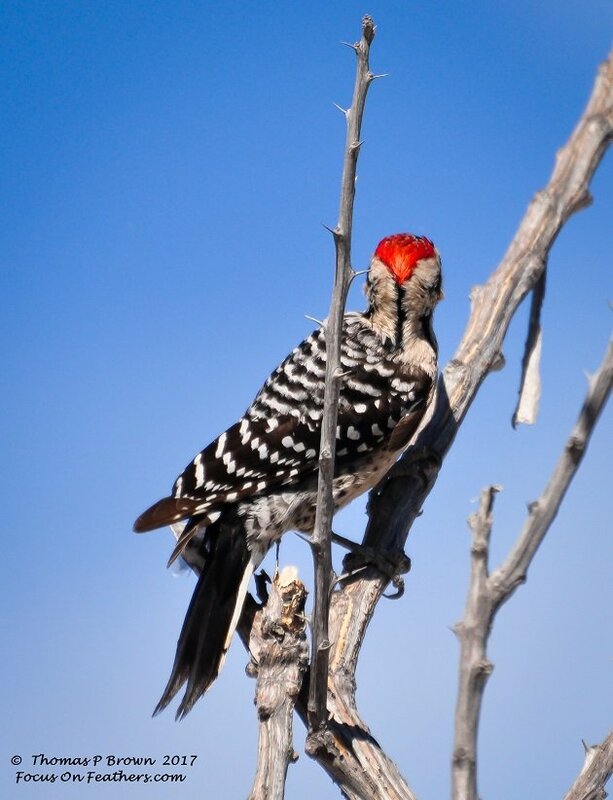 In an area that seems to be chock full of Gila Woodpeckers, the little Ladder-backed Woodpecker is such a nice treat. A colorful subject of my photos, and not in the least bit shy, they make for great models. 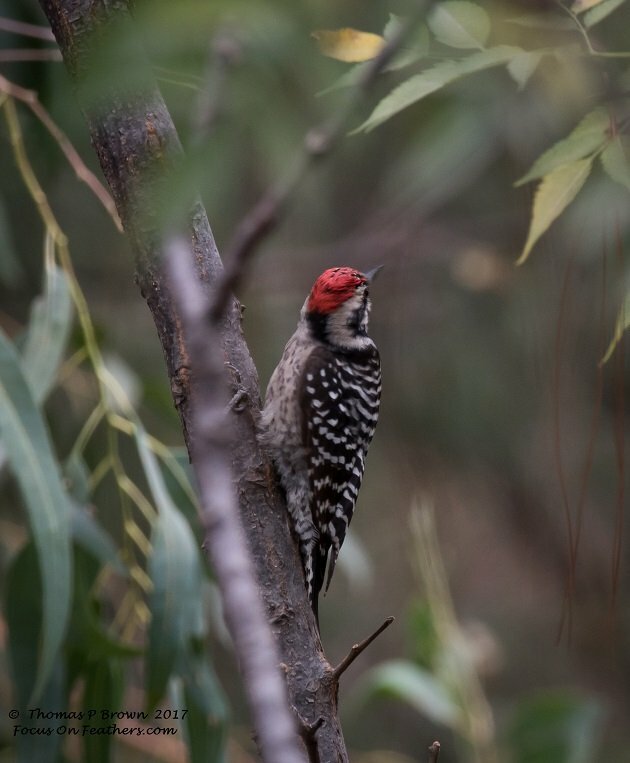 I found this Ladder-backed Woodpecker in the lush tropical forests of Guadalajara.